Café De Flore abstract dance-drama directed by London based actress/model/dancer/choreographer Alize Biannic. This drama is presented by Solis performing arts and is currently playing at club 25 Hrs Tangalwood Hotel Naxal only for two weekends ( 16th to 18th Feb and 23rd to 25th Feb). 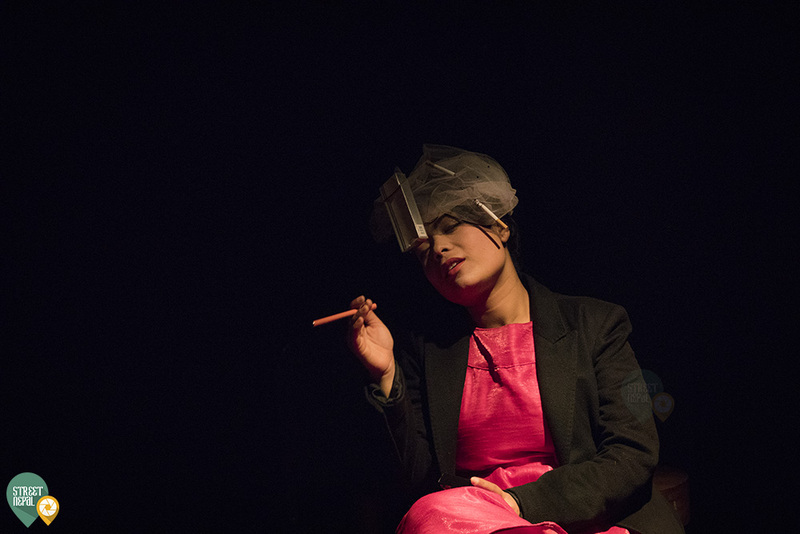 Artist Alize Biannic, Hemanta chalise, Vijaya Karki, Utpal Jha, Roni Shrestha, Siddhartha Rai, Siyoung Sing, Sandesh Shakya, Sezal Thapa, Sandeep Shrestha, Rupen Thapa Magar have worked on the drama.